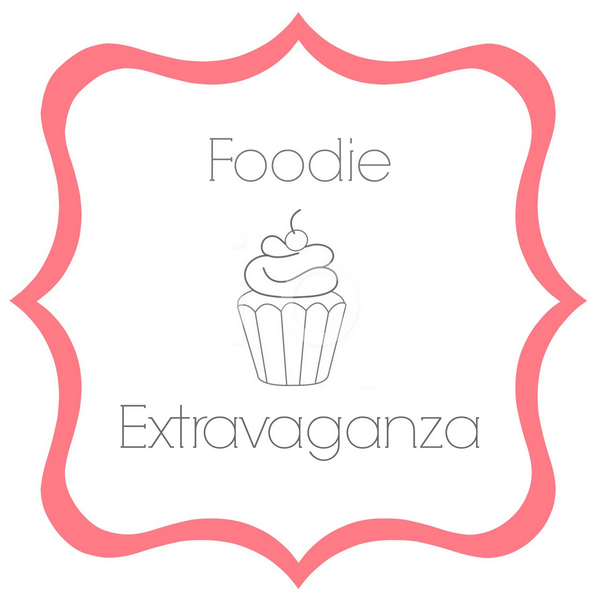 When I decided to host December’s #FoodieExtravaganza, I knew I wanted the theme to be eggnog. When I was a kid, I thought eggnog was completely gross. Actually, I thought most things involving eggs was gross. I clearly remember an episode of Doogie Howser where he made a smoothie and put a raw egg in it. I’ve cringed at the thought of drinking eggs ever since. But as an adult, I found that I really, really like eggnog. Of course, this would be followed up by becoming lactose intolerant. 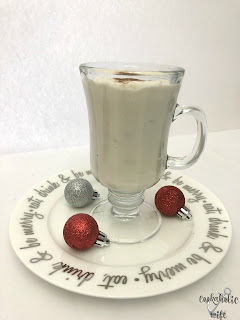 At least there are alternatives to eggnog, one of which I decided to share with you today. 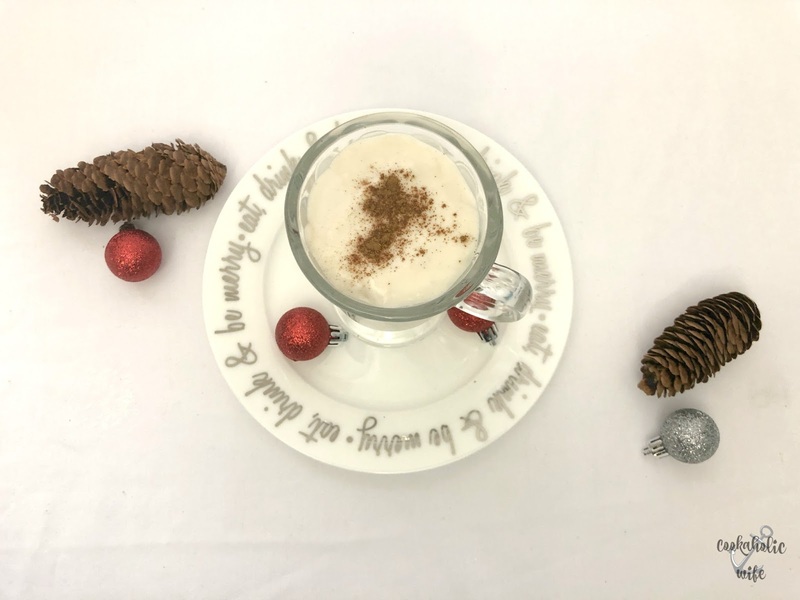 Eggnog flavored pudding made without using dairy. Pour the coconut milk into a medium bowl, scraping down the sides of the can to remove all of the solids. Add the almond milk, vanilla pudding, cinnamon and nutmeg. Stir until combined. Refrigerate for 1 hour. Stir before serving and add optional rum or whiskey. I initially started looking for dairy-free eggnog recipes and ended up finding something online that said you could create the thickness of eggnog by using instant pudding. I then realized I’d never heard of eggnog pudding and if there was ever a time to try it out, this was it! 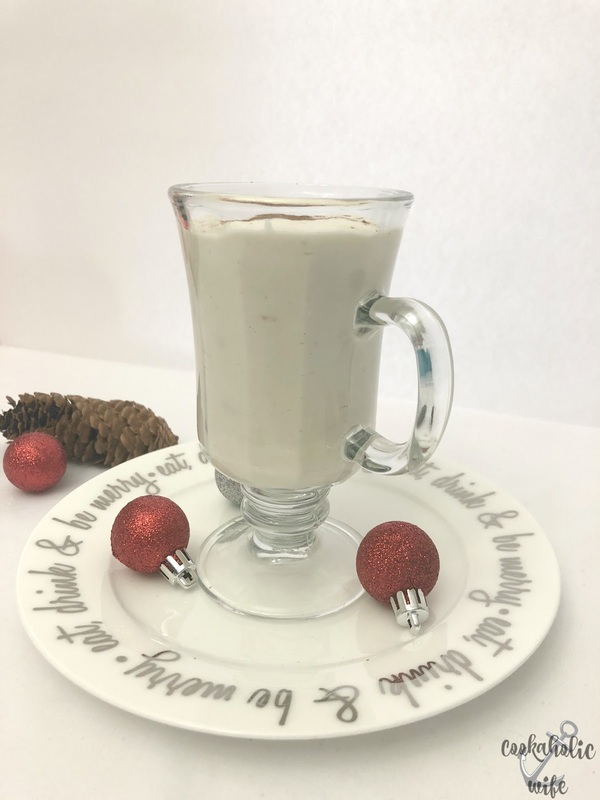 As this uses canned coconut milk, the coconut flavor is still there, but you can adjust the spices as needed to create a more cinnamon-like version if that is what you prefer. I made eggnog with part coconut milk last year and loved the flavor, need to try the fully vegan version like this too! So great that you found an alternative, Nichole. I can't imagine the holiday season without eggnog. 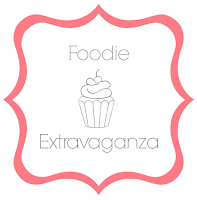 Thank you so much for hosting this month! What a great way to create a vegan version of eggnog! 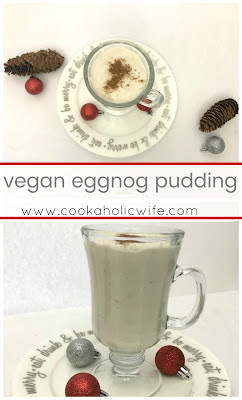 This would be perfect Vegan option for Christmas party dessert.